ZIMBABWE – President Mugabe is in full control of Government and fit enough to put more man hours into his work than any of his detractors ever could, the Head of the Civil Service has said. Chief Secretary to the President and Cabinet Dr Misheck Sibanda told, The Sunday Mail last week that Government was not “auto-pilot” and the President remained seized with his rigorous executive schedule. Dr Sibanda implored the media to report truthfully about President Mugabe and desist from abusing him. He also spoke of his service to the President spanning some 40 years during which time he has seen his boss’ best qualities, including his “fatherly disposition” that saw the inclusive Government (2009-2013) function cohesively against all odds. 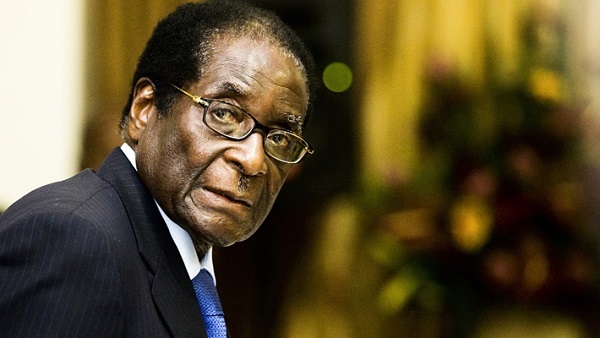 For some time, the private media and opposition elements have speculated over President Mugabe’s health and age, claiming he was no longer capable of leading Government. Others have instinuated he had become detached from Government business. But ahead of the President’s 92nd birthday anniversary today, Dr Sibanda told our Harare Bureau that the sole centre of power remained firmly in charge. Dr Sibanda said President Mugabe’s daily itinerary was packed with major engagements; from a stack of briefings to analysing proposed laws — word by word — as well as overseeing all ministers, engaging diplomats and other individuals, and also conducting international duties in Sadc, the African Union and United Nations. The President, he said, was presently directing a massive food mobilisation to help drought-ravaged communities. He added: “When you see some people abusing such leaders because of his humility, you wonder where we came from, especially the youngsters of today. It’s our collective responsibility — the media included — to work on some of these aspects. On the inclusive Government, Dr Sibanda said, “As Chair of Cabinet, he managed to steer the whole process, though people were antagonistic towards each other initially. . .It was his ability to manage contradictions. They (MDC formations) started respecting President Mugabe, the leader. “They revered him; they saw him now – that fatherly figure, that he means well, he means beyond their narrow party ideology. He is for the nation. They realised they were possibly painting the President too negatively and that was not correct. They understood the man.